Even if you love cooking, figuring out what to have for dinner every night can be a chore, which is why we often turn to takeaways and convenience foods. But if you’re looking to cut food costs, lose weight or just want to focus on being healthier, effective meal planning is essential to sticking to your goal. Planning your meals ahead of time can set you on the right track to a healthier, more cost-effective lifestyle. While eating out at cafes and restaurants while you’re on holiday is a treat, do it more than once a week when you’re at home, and you’ll soon start noticing a hole in your finances. With all the fresh produce available and the numerous recipe apps at our disposal these days, there’s no excuse for not being able to plan at least three healthy meals to cook during the week. If you really don’t like cooking, make double and heat up the leftovers to fill in the other three nights. 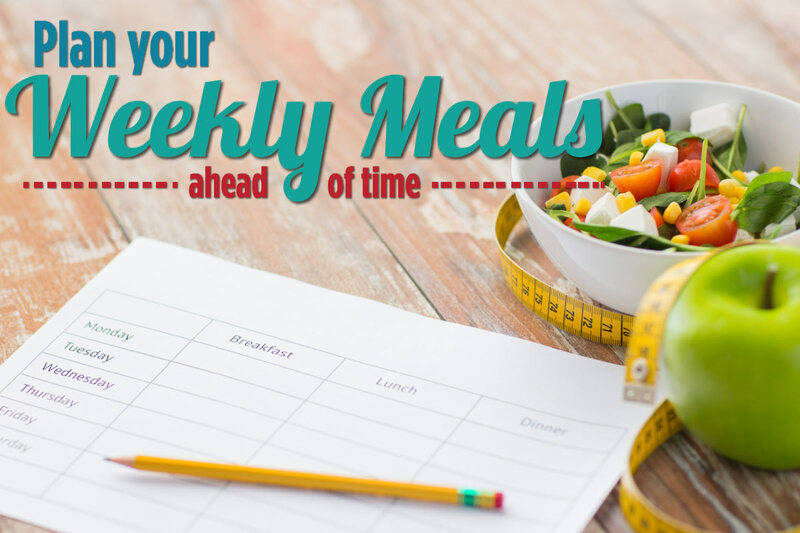 Planning your meals for the coming week and writing down all the ingredients you’ll need for the recipes, makes food shopping super-easy. Rather than wandering aimlessly up and down each aisle and tossing in items that take your fancy, you can quickly grab what you need and be out of there in half the time. Back at home planning your grocery shopping also works in your favour because you’ll use everything you buy. 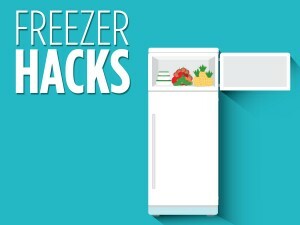 No more will random items spoil in your refrigerator because you don’t know what to do with them. 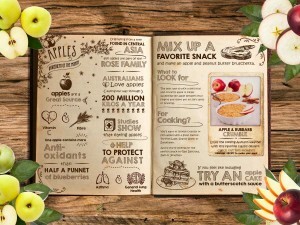 It also allows you to plan for ingredients that you only need a little bit of. For example, plan 2 meals which use basil so that you don’t throw away the rest of the bunch. Sometimes the last thing you want to do after a hard day at work is to cook, so you’ll reach for the takeaway pizza number instead. But if you plan ahead you can have simple, healthy meals on the table within 10 to 15 minutes, probably less time than it takes for the pizza to be delivered. If you know you’re going to have a really busy week at work then prepare part of the meal in the morning by chopping veggies, mixing marinades etc. so all you have to do is toss the ingredients in the pan to stir fry. If you don’t take the time to plan your meals, then you might as well say ‘goodbye’ to your diet. 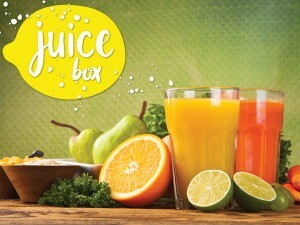 Quick fixes such as takeaways and microwaved meals (both full of fat, sugar and salt, we might add) can easily sneak into your weekly eating because they’re a) simple and b) quick. With meal planning, you can reduce your reliance on convenience food and enjoy healthy meals that are better for you and your family. 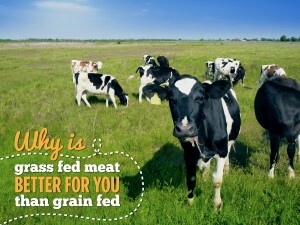 Why is grass fed meat better for you than grain fed?